Field trials are under way in Europe for a drug which was found to prevent laminitis developing in at-risk ponies in an Australian study. 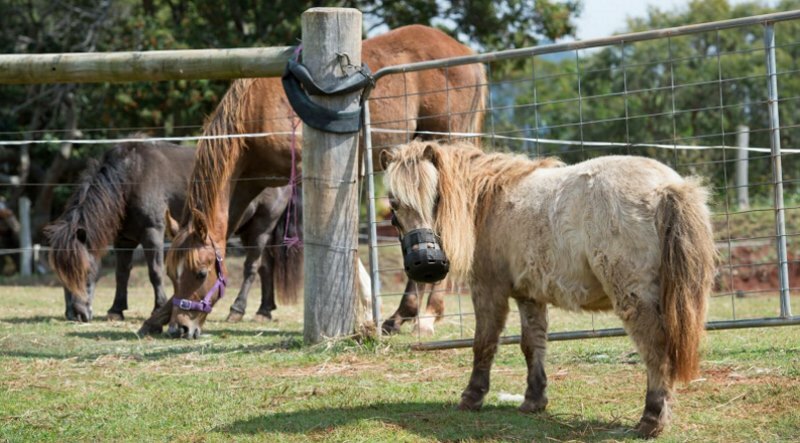 “This is great news for horse and pony owners because until now we have not had a veterinary drug to prevent or treat laminitis, which affects up to 20 per cent of ponies,” said Professor Martin Sillence, from the Queensland University of Technology in Australia. The drug called velagliflozin is related to one used to treat human metabolic syndrome. The success of the drug in preventing laminitis in a group of at-risk ponies challenged with a diet high in non-structural carbohydrates offers hope in combating one of the biggest killers of domestic horses. “Just like humans, ponies, particularly, and also horses, start to get fatter around the middle as they age especially when there is a constant and abundant food supply,” Sillence said. “We discovered that when some ponies over-eat energy-rich pasture or grains which release a lot of glucose, their pancreas pumps out even more insulin and this leads to insulin toxicity. Sillence said the research team had found laminitis could be prevented by treating ponies with velagliflozin. Sillence said the team had adapted a common oral glucose test to determine how high insulin had to be before the disease set in, which allowed prediction of which animals were at risk of developing pasture-associated laminitis. The drug breakthrough, he said, was the culmination of 10 years of research at the university which began when its researchers discovered the high insulin trigger for laminitis, which had been unknown for two millennia – ever since Aristotle had first described the condition he called “barley disease”. Sillence said the first flush of new grass in spring and autumn pastures was the most dangerous time for susceptible ponies and horses. “Ponies and horses with metabolic syndrome should not feed on pasture that has been fertilised for fattening sheep and cattle. It is too rich, even though healthy horses seem to be able to manage this type of diet. Sillence said laminitis was more common in pony breeds such as Shetlands and Welsh Mountains, who had been bred to survive harsh winters when snow on the ground killed the grass.